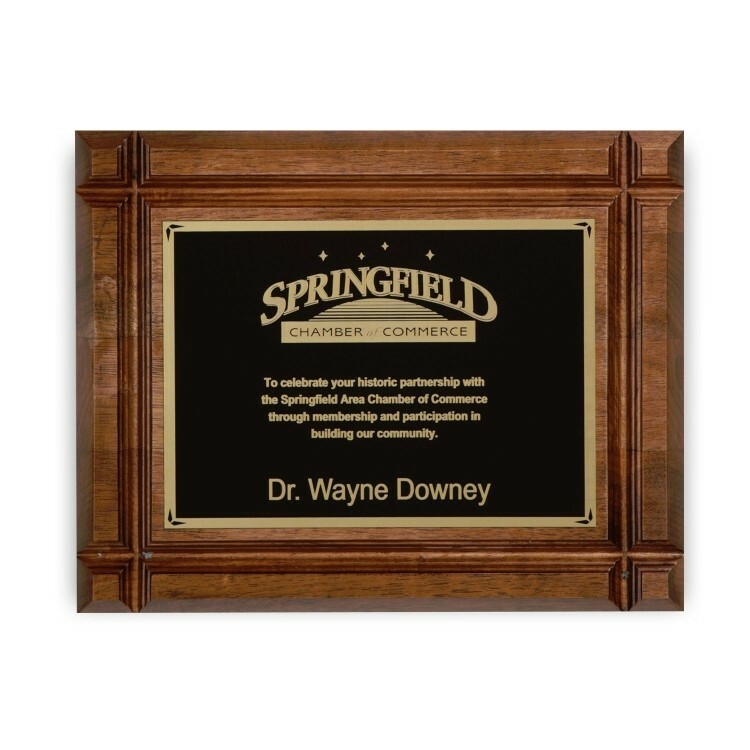 Honor your employees' accomplishments or your organization's hard work with the Devonshire plaque. Tasteful walnut wood with beautifully carved borders gives prominence to your message. Available in various sizes with plenty of room to brag about the recipient's professional and personal achievements. Imprint space varies by size and is available with four color process imprint. The qualities of this plaque are sure to bring prestige to any wall! Product Highlights: Tasteful walnut plaques frame anaward inside beautifully carvedborders. Imprint Dimensions: 6.75" x 4.75"